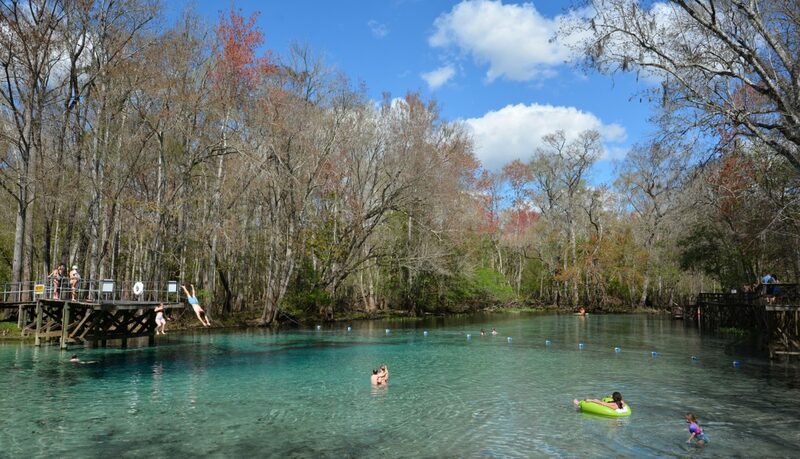 Gilchrist Blue Spring | Florida Hikes! 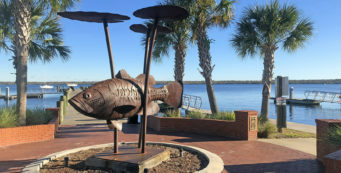 Its namesake, Blue Spring, is the largest in the collection, a sizable second-magnitude spring with a flow of 44 million gallons per day, creating a shallow spring run. Swimming is permitted here and at nearby Naked Spring, a natural oval pool accessed by a floating dock. 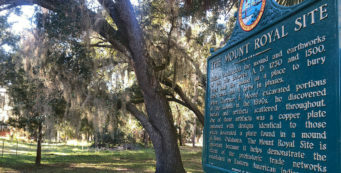 Several other springs are along the nature trails, which meander through the towering trees of a hardwood hammock along the edges of the floodplains formed by the spring runs. Leashed pets welcome but not permitted in swimming areas or springs. 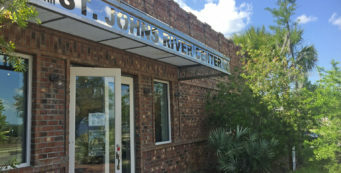 On busy days – especially on weekends – arrive early or you will be turned away if the parking lot is full. From US 27 south of High Springs, turn west on NW 182nd Ave (CR 340). Continue 4.5 miles west to the park entrance on the right. 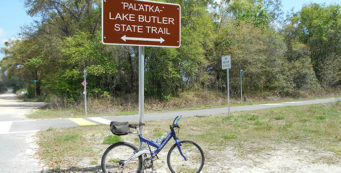 A mile-long divided dirt road, bumpy in places, leads to the ranger station, which adjoins the spring and parking area. 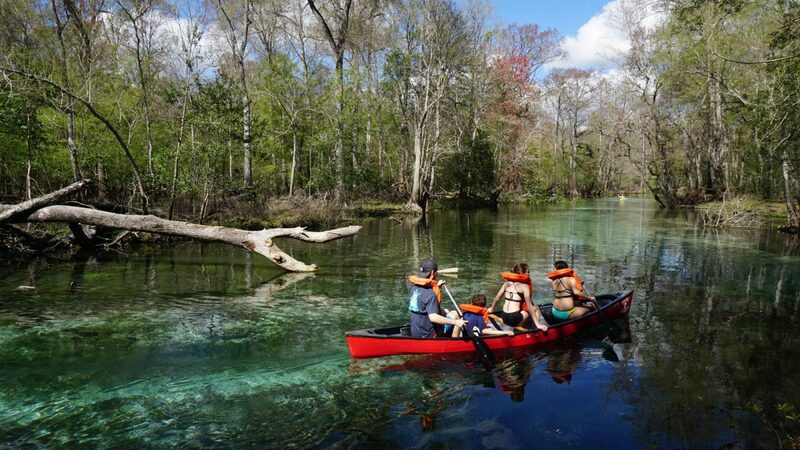 There are five named springs at Gilchrist Blue Springs State Park, with its showy namesake Blue Spring being the main attraction and the main swimming area. A diving platform encourages a splashdown in the depths of the blue waters, with the spring vent more than 20 feet deep, surrounded by a shallower broad natural pool. Walk down the boardwalk to access the colorful, clear, and shallow spring run for wading, swimming, and snorkeling. Prior to Hurricane Irma, the boardwalk extended all the way to the Santa Fe River; now there is just a short segment remaining, but enough to provide nice views across the run. 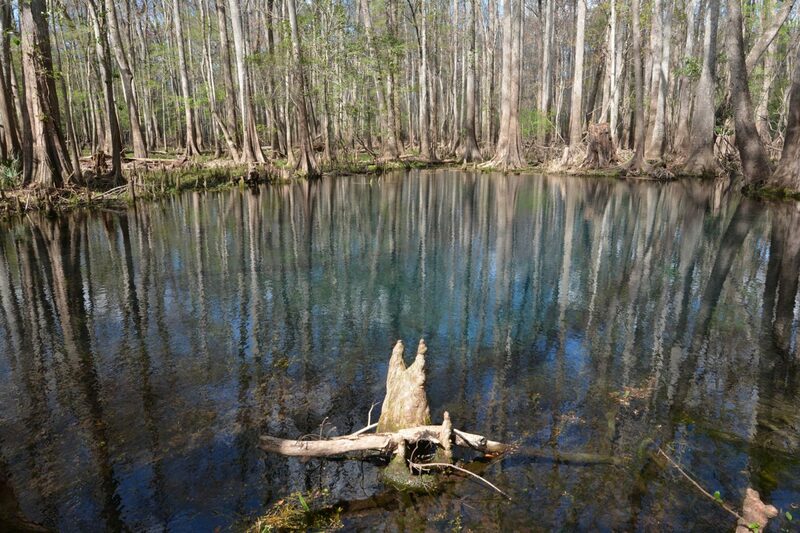 To the left of the diving platform, walk away from Blue Spring along the edge of the floodplain forest to find Little Blue Spring, a beauty spot surrounded by cypresses. Swimming is not permitted in this spring, but it’s lovely to see. 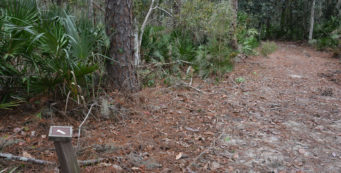 The broad path to the right of the boardwalk leads through the forest to more springs. 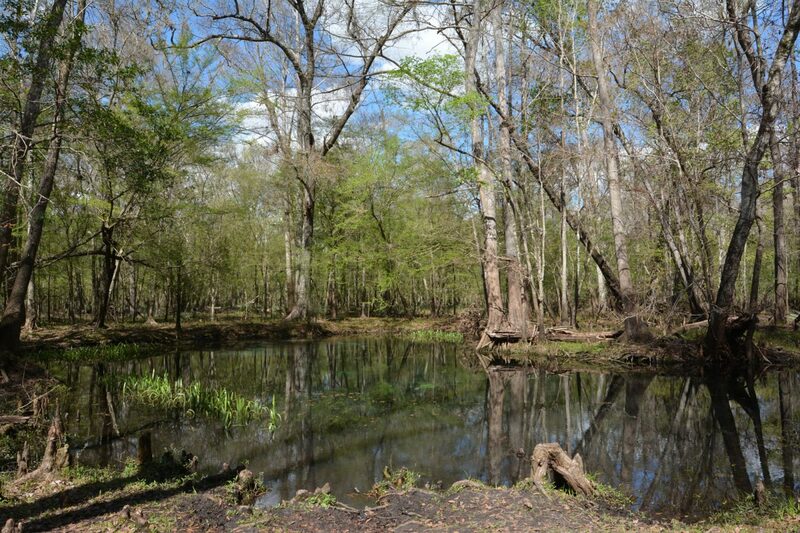 Surrounded by floodplain forest, Naked Spring is a jewel in its natural setting. From the floating dock and the one cleared area along its shore, you can see two spring vents. It’s at least a dozen feet deep, although the spring run out to Blue Springs Run is shallow. 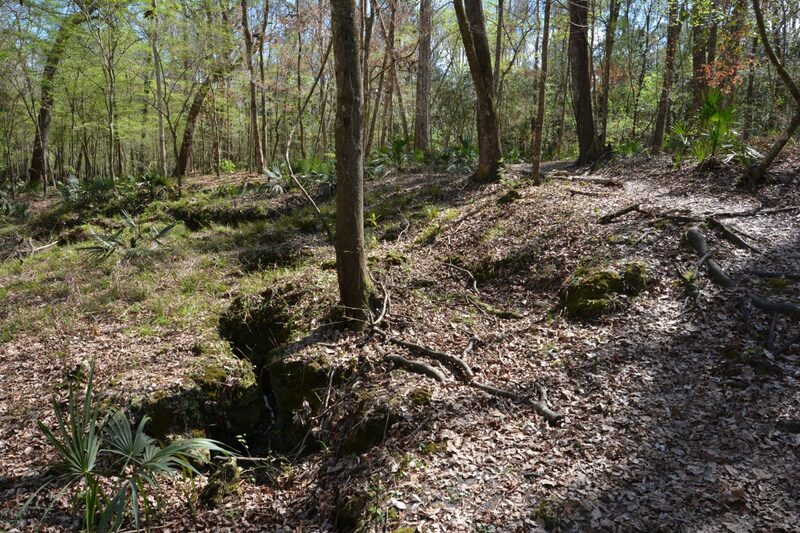 We found more springs along the nature trail that starts near Naked Spring. The first was down a short side path to the left and was partially obscured by fallen trees. The next one was Johnson Spring, a large natural feature with a well-flowing spring run. The last place we saw water flowing was from seepage springs from a karst bluff along the floodplain basin, about 0.75 mile down the nature trail. 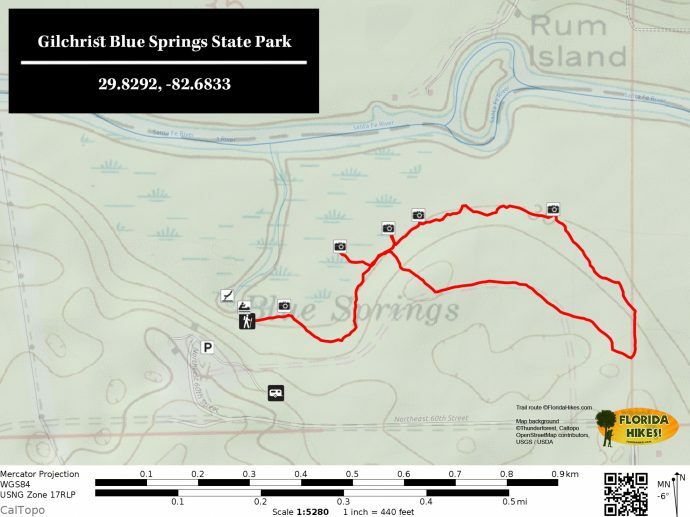 There are 25 campsites located near the main spring. Numbered sites (1-18) are primarily used by RVs and campers and are in the open. Choose the lettered sites (A-G) for a more relaxed setting for tenting or van camping beneath the canopy of oaks. Rent canoes, kayaks, or paddleboards at the kiosk near the ranger station and pick them up near the boardwalk. You are also welcome to bring your own watercraft. The unmarked Nature Trail begins just past Naked Spring. We explored a route that made a 1.5-mile balloon hike from the start of the path near Naked Spring, or 1.75 miles from the main parking area.